We’ve been busy the last few weeks here in Guatemala working with El Infinito on their permaculture project and building our Smart Aquaponics garden down here. Our volunteers have been helping out with a variety of garden work. We’ve planted dozens of seedlings including lettuce, kale and spinach. We’ve also spread their homemade compost fertilizer across the garden and used El Infinito’s organic pesticides made from onions and garlic mixed with water. Another neat thing here is that a local restaurant utilizes a biogenerator, which produces a liquid waste product teeming with nutrients that we use for fertilizer as well. This week our volunteers worked with seedlings and transformed old plastic bottles into miniature greenhouses to protect the seedlings from the cold and the rain. We broke ground on the aquaponics project, sealing and protecting the wooden grow bed. Additionally, the volunteers measured and cut the styrofoam that will float on top of the grow bed, with the roots reaching into the nutrient-rich water. 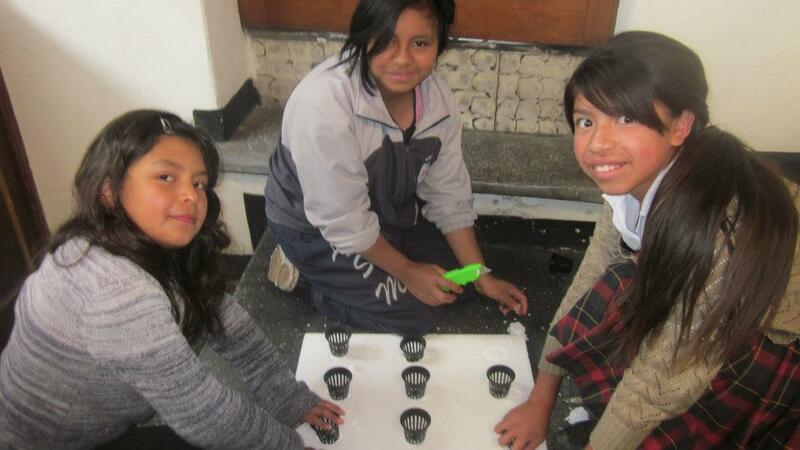 As you can see in the picture, we cut holes into the styrofoam to fit the hydroponic pots into. It’s been an amazing start so far and more updates to come soon.